Whether you currently host with THC Servers or just want to earn some hard cash, you will benefit from our highly rewarding affiliate program. You can make a substantial income just by recommending our services to your friends, website visitors and contacts. 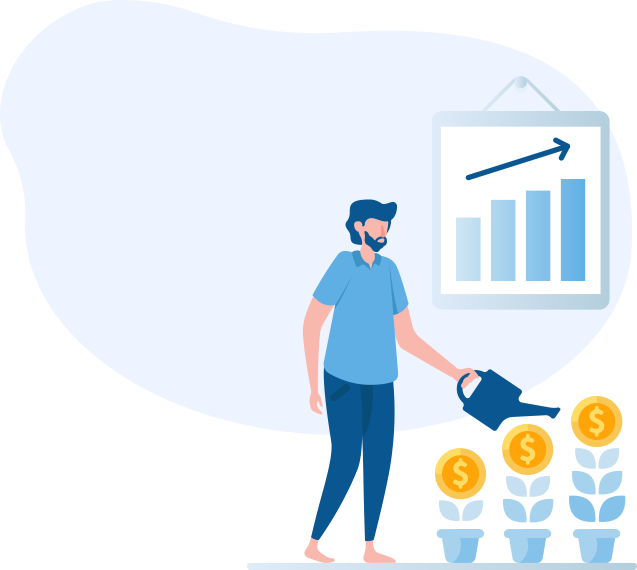 We have a multi-tiered affiliate program rewarding you for both sales and renewals made by the customers you brought for our web hosting service. For the first 5 referrals you earn 20% of each sale, and then for the sixth sale you will earn 25% and so forth. When you have reached the top level you will earn a staggering 35% commission of each sale and renewal of service. Promote THC Servers on your website and share your unique referral link with your friends and contacts. You will receive a comission for every successful conversion that takes place via your affiliate link and the renewals. Enjoy the fruits pf you hard work. We will transfer the earnings in your PayPal account at the begining of every month. Whether you currently host with THC Servers or just want to earn some hard cash, you will benefit from our highly rewarding affiliate program. Creating a affiliate account it's not complicated at all, setup takes only minutes and you have full control along with performance reports. Simple process, no verification or documents needed when creating an account. There are no taxes, fees or additional costs that you have to pay to join our program. At the beginning of each month we will transfer your earnings to your PayPal account. When it comes to how much money you can earn as affiliate, the sky is the limit. High customer satisfaction and outstanding hosting makes our services easy to sell. Our affiliate dashboard also gives you all the resources necessary to promote, manage and monitor your efforts. Sales statistics and commission earnings update instantly without any delays. Receive commission for sales generated up to one year after the referral's first visit. Our affiliate's dashboard has a simple interface, allowing you to focus more on promoting. Easily keep track of your compaign's performance with the reporting tools. Choose from our great collection of specialy designed banners. Your referrals are in good hands. The award-winning, industry-recognized quality of our infrastructue and serices will make you feel much more cnfident promoting THC Server' hosting plans, knowing we will go extra mile for our clients. All our web hosting services come with a guaranteed 99.99% uptime. Privately owned, 24/7staffed, fully redundant state-of-the-art facilities. Our team of experts is available 24/7 to help with any hosting-related problem. As you've probably noticed, we don't charge an arm and a leg fo our hosting services. If for some reason you referrals are not happy with our services we will refound their purchase.